Which driver positioned 11-20 in the standings will win first? What's been the top moment? A 400-lap race at Richmond gave drivers plenty of opportunities to pick up ultra-important stage points -- and it allowed Joey Logano to extend his lead. Hendrick Motorsports driver Jimmie Johnson knows plenty about training, about pace and about racing. He'll put that to good use at the Boston Marathon. See which drivers top the list for most laps led over the course of the 2019 Monster Energy NASCAR Cup Series season. Tiger Woods won the 2019 Masters in a comeback for the ages. Several NASCAR drivers have similarly had long droughts between victories. @nascarcasm recaps the Monster Energy Cup Series Toyota Owners 400 at Richmond Raceway in a series of photos and funny commentary. For the big Game of Thrones premiere on HBO, let us take a look at that which has been thrown in NASCAR over the years. FlipSid3 Tactics driver Ryan Luza scored his second consecutive victory at Richmond Raceway. Drivers do not always stay with the same team thier whole career. Take a look at our active drivers with the most wins with different teams. Tiger Woods completed one of the most epic combacks in sports history, winning The Masters for the first time since 2005. 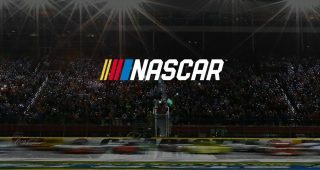 Fans have a chance to make their voices heard by voting for the five nominees that will be included in a "Fan Vote" ballot for the NASCAR Hall of Fame. This is the 10th year Goodyear will replace its familiar "Eagle" branding with an inscription honoring the United States military and fallen heroes. O’Donnell: ‘We like what we’re seeing’ with 2019 packageJonathan Merryman goes 1-on-1 with Steve O’Donnell about the 2019 aero package and the on-track product early in the season. Who’s the best driver right now: Kyle Busch or Joey Logano?There's some disagreement between our Backseat Drivers on who the best driver is at the moment.